FREE delivery to United Kingdom in 7 - 9 working days. Slit Table is paper origami translated to the metal universe, named after the slit that emerges when the plate frame is folded underneath the tabletop. 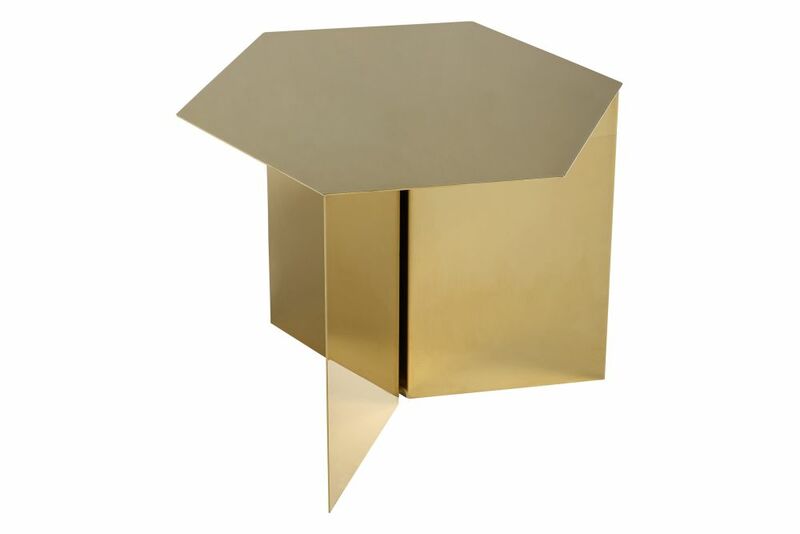 Slit Table is a simple metal side table in three shapes: round, rectangular and hexagonal. Slit Table is available in five contemporary colours as well as a brass and a mirror finish in a total of 14 different combinations. Use them in pairs or clusters or one on one. HAY has enjoyed a rapid rise in popularity since its founding in 2002, with a focus on making premium scandinavian design accessible to the largest audience possible.